It has been an absolute honor to work with the good folks at Elephant In The Room. And in full disclosure, over time as we have helped them to grow their business we have financially invested in the Elephant In The Room business to become an equity partner in this fine business. When the concept of the Elephant In The Room first appeared in the mind of the Founder, Justin Moore he share it with us and took a little selling / convincing before we fully understood the value proposition. Essentially, the Elephant In The Room caters to the modern man who is looking for an experience not just a haircut. It has been our job since day 1 to (when the company launched) help the company share this value proposition and service offer with the most ideal and likely buyers that live within the city of Tulsa. Marketing the Elephant In The Room has posed several challenges that we have been able to overcome, but they are challenges that many entrepreneurs face. They were a walk-in business that was not located in a very high-traffic area. They had small marketing budget. They had a product / service that appeals to a niched percentage of the men’s grooming market. They are offering a product / solution which is completely different from anything else in the market. They did not have a website or the budget to build a massive site. They were unknown to the media. They did not have duplicable workflows, systems or processes. They had a great idea, but everything else needed to be built around that idea in order to turn their big idea into big results and not just big intentions. They were competed against a juggernaut competitors with massive budgets. They had a small staff. And Countless Other Service Offerings. Scroll down below to see how we were able to help the Elephant In The Room to get from where they were to where they wanted to be. Search Engine Optimization – In the digital and smart phone filled world that we now live in, nearly every one has a smart phone and nearly every one uses the internet search features available on the phone to find the products and services they need. Where people should or shouldn’t it doesn’t really matter, that is how more and more customers are finding the products and services they need. So the field of men’s haircuts is now different. Thus, with Elephant In The Room we have focused on dominating this playing field using our proven turn-key search engine package. Our system involves focusing on providing exponentially more original quality content then every other local service provider. We also focus on providing 50 times more quality back links to their website than their nearest competitor while making sure that the website itself is built on an HTML framework and platform that is search engine friendly. Most websites today are not being built to be friendly for the internet crawling tools being used by Google and Bing to find and index websites. Not building your website on the correct foundation is much like building a beautiful billboard that the set up in vast, isolated and desolated part of a desert than no one will ever see. Elephant In The Room has generated hundreds of thousands of dollars of business as a result of our internet marketing campaign. Public Relations – Since working with the Elephant In The Room we have helped them to experience a public relations bonanza. The founder of the business, Justin Moore loves mentoring and giving back and so we teamed him up with some local charities that he is very passionate about. We then set up a system so that a set percentage of all revenues would be systematically donated back to the charities and causes that Justin believes in. This allows him support causes that he believes in on an on-going basis and gives him a consistent reason to celebrate and draw attention to the charities and the great work those charities are doing within the community. Additionally we have focused on making sure that the Elephant In The Room is differentiated to the point that it has a completely unique and memorable value proposition. 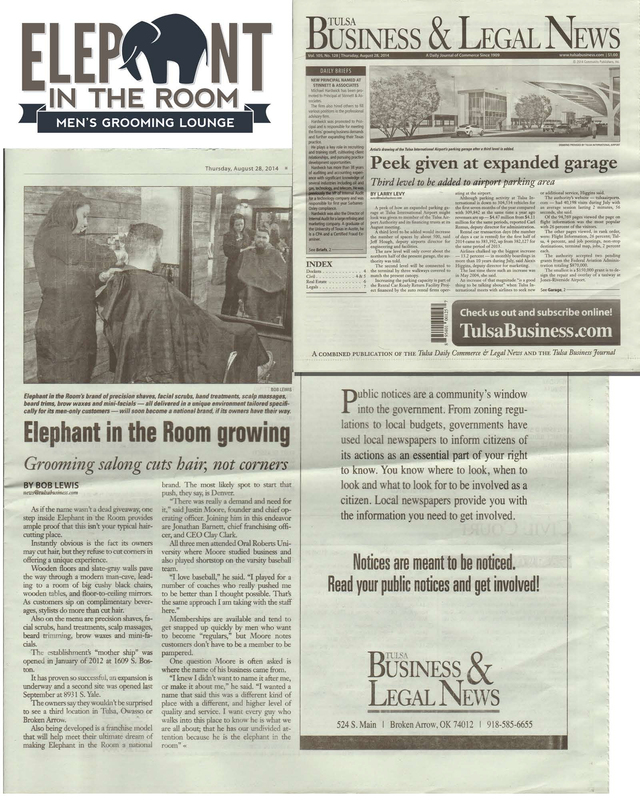 Even the name of the Elephant In The Room Men’s Grooming Lounge itself was chosen to help differentiate the brand. We have worked with the Elephant In The Room to host countless media events throughout a three year period of time. The results have been epic. Thus far, the Elephant In The Room has been featured in the media over 20 times. The company has been written about in SUCCESS Magazine, the Tulsa People, the ABC, NBC, CBS and Fox affiliates and even a few celebrity blogs. Now that the founder’s local community has gotten to know him, we look forward to helping them expand throughout the United States. We have literally seen the Elephant In The Room grow by over 800% in the past 3 years. Workflow Creation – As most businesses grow, they grow weaker and weaker and they actually begin to implode to the false belief of most owners that they are “simply growing too fast.” At Make Your Life Epic, we “simply don’t believe that is possible.” Our philosophy to business growth is simple. Step 1 – Quickly test the business model and the value proposition to see if you can sell something. Step 2 – Once you discover what works turn your “successes” into a duplicable process by building processes, checklists and systems designed to be able to replicate this success over and over again. Step 3 – Scale what works. Pump more money and resources into a winning business model. Capture the flag and grow as fast as possible. One of the real joys of working with the Elephant In The Room is their founders absolute commitment to delivering a quality product and service while growing as fast as possible. And the only way to do this is by building a step-by-step workflow system that maps out every aspect of the customer interaction from the first inquiry, to the check-in, to providing the service to the check-out process, to the social media follow-ups and the on-going relationship building. Workflow creation is one of the strengths that we bring to the table and it has been fun to see these systems produce massive amounts of fruit for the founder (and now for us too since we are now part of the equity team). Process Creation – Many times when you sit down and try to talk to an entrepreneur about process creation you get the feeling that you are trying to have a heart-felt talk with a bunch of third graders about the nuances of filling out your 1099 forms in a tax-compliant way…you get the feeling that no one is paying attention. However, when working with the Elephant In The Room team, they have been very diligent, consistent and persistent in their thirst for knowledge on how to create strong systems and processes that will insure that their quality is not compromised as their quantity greatly increases. In fact the processes that we have installed and are helping the Elephant In The Room to install are actually increasing the quality of the experience that members / men’s haircut clients receive when they come in to get their hair cut or their beards maintained. Social Media Marketing – We would argue that for the vast majority of business owners on the planet that social media is a huge waste of time. Most business owners stay up late into the night thinking about the perfect Tweet or the perfect Facebook post to send out to their customers. And this is a wonderful use of everyone’s time if it produces fruit for your business in terms of real dollars and cents. However, for most business owners they don’t ever actually make any money with their social media. So they begin to hire PR Firms or Marketing Firms that say things like, “It’s really hard to measure the success of your social media campaign based just around how many customers you bring in. It really should be measured in more a holistic way where you look at the long-term value of the relationship and the branding being generated by your social media campaign…Yada…Yada…Bunk…Bunk.” Bottom line, we are all in business to make money as a result of over-delivering a high quality product or service to our customers in a profitable way that solves problems they really have. For the Elephant In The Room, we have helped them to manage the day to day aspects of their social media campaign while keeping them focus and energy on the revenue creators of “wowing clients,” “winning PR” and getting that inbound phone to ring from people who are finding the company in Google search results, etc…Long-term we look to developing a rich and very value focused and profitable social media campaign. However, in a startup “where everything is important” and you don’t have 300 staff members that you can assign to knock out multiple projects at the same time, you must focus your energy on the profitable items first. Leadership Training – As a business grows 800%, much has to change. The owner or founder who was once the technician who was actually cutting the hair now has to become a skilled people manager and recruiter. His number one job moves from becoming the best hair stylist he can be to becoming the best systems manager and people manager on the planet. His job goes from washing windows to making sure that other people are washing the windows. He goes from personally dealing with employee issues to being the guy that has to train up the managers who will be dealing with the employee issues. All of this requires training and with the Elephant In The Room we have had a great opportunity to work with the owner of the business to help him develop the skills needed to grow his business to the next level. Management Training – Managing managers and managing the day to day aspects of any business can be challenging. As all business owners quickly learn, just because you built a system for something, adequately trained your staff and then told them specifically what to do doesn’t mean that they are actually going to do it. In fact in most cases they don’t do it, and they won’t do it unless you become the master of the “followup.” In some of the businesses that we have worked with the daily checklists for each staff member can include some 70 to 100 items per day. With the Elephant In The Room each staff members has dozens of tasks that they must deliver on a daily basis in order to insure the quality of each and every customer visit. We have installed merit-based pay systems, training videos, and daily followup processes to help the EITR bridge the gap between desired employee performance and actual employee performance. Human Resources Recruitment Efforts – Finding quality humans to execute a solid business plan continues to prove to be one of the most challenging aspects of business management and ownership for most entrepreneurs. Without exaggeration, the majority of the clients that we work with come in believing that marketing or finding capital will be the hard part, but what they tell us is that ultimately finding, inspiring, training, keeping or firing people is the hardest aspect of their job. For the Elephant In The Room we have worked with the team to install turn-key human resource tools that have allowed the team to see a steady of influx of employee applicants at all positions. We have then worked with them to develop a stream-lined on-boarding process, training video and training system to assist the company with increasing the rate with which new people can be brought on board. Video Training – Most owners report finding themselves “saying the same things over and over again” and this is a good thing. However, a training video can allow you to deliver a consistent training message over and over without actually physically needing to be there. As your business expands you will quickly find that time is your most valuable asset and that you are always “running out of time.” As we have created their tailored training video system we have also focused on making sure that we have create questions and interactive items that go along with each video so that we know that the people watching the video are getting something out of their video viewing experience. We have also invested a heavy amount of time into making sure that each video is “edutaining” so that it fuses entertainment with education in a way that engages the viewer for increased retention. Video Marketing – When people land on a website they expect to find video today. Bottom line, whether your website has video or not, customers expect video. Video increases website engagement and dramatically increases the conversion rate for the people visiting your website. We have invested hundreds of hours in creating video marketing pieces for the Elephant In The Room that have created a massive return on investment for this business. The results have truly been amazing. Video Optimization – Since Google purchases Youtube, videos can now be found in Google search results. Essentially you could be searching for “Tulsa Men’s Haircuts” and the Elephant In The Room website and their videos could pop up in the same search results and this greatly increases the amount of traffic a website receives. In order to do this though we have had to tap into our massive videography department to literally produce thousands of videos for the company. It has been a journey and one that has produced big-time fruit for the Elephant In The Room. Business Card Creation – Business cards are meant to be marketing pieces that you pass on to people so that they have your contact information. You want to make sure when you pass these out that your business cards don’t subconsciously scream to the person you are handing your card to, “Don’t ever call me again! I’m odd and my business can’t be trusted! !” This seems like a ridiculous statement, but we are often confronted by the truly epic and terrible business cards handed to us that have the owner’s name misspelled, the website wrong, etc…Don’t let this happen to you. When working with the EITR Lounge, we’ve had the pleasure of working with a founder who is obsessed with quality and so this has never been a problem, but don’t take the great looking business cards for granted. Print Piece Creation – Mailers, postcards, menus and countless other print items have had to be created for the Elephant In The Room since day one and we’ve done them all. Gift cards, flyers, banners and everything you can think of when it comes to print pieces are all items that we have created for the Elephant In The Room since day #1. As their brand evolves we have continued to help them update their materials. Most recently their brand and logo were actually registered and have become trademarked items. This means that all of their items had to be updated, and this is what we do and continue to do for them. Pricing Model Creation – Personally, we have never had a hard time helping our clients to define their pricing model, but most businesses can get stuck here. They are worried that if they charge too much customers will leave and if they charge too little they won’t be able to pay the bills and so they just get stuck and end up doing nothing. You cannot let this happen to you. In the world of business time is your most important asset and you have to move faster than you are comfortable with. We helped our client to look at the pricing model of other service companies within the United States and the service offering they were offering before recommending a pricing solution tailored to appeal to their ideal and likely buyers not to everybody. The pricing solution we have now decided upon has worked wonders for the business. Elephant In The Room is focused on staying a premium brand and is wanting to increase the level of service they offer over time, thus their pricing structure was determined to be where it is today. Automatic Recurred Billing Setup – For many business owners, setting up systems like this can make their brain explode. They have to find an authorized credit card merchant, a point of sale system, a credit card processing company and terminals, etc. However, we have been their with Elephant In The Room every step of the way to make this happen. In fact when their credit card processing company couldn’t figure out how to make their receipts print out properly we actually sent by one of our highly experience front-end web-developers to fix it personally. If you are feeling overwhelmed by just the thought of setting up automatic recurred billing, remain calm and call us. Digital Menu Board Creation – The idea of embedding flat screens within your business to increase the look of your brand while decreasing printing costs is a good idea, however it’s just hallucination if it’s not executed and that is where most business owners get stuck. They can’t seem to figure out what format to get this in or where to plug that in and then…nothing gets done. We’ve worked with Elephant In The Room to create an entire series of easily updatable digital marketing boards, messages and screens so that the company can quickly update any messages they want to tell their customers in a unique, meaningful, compelling, and cost effective way. Call Scripting – When the phone rings, what happens in your business? In most businesses, whoever is closest to the phone just gets up and answers the phone while saying the first thing that comes to their minds. Sometimes this is great and most times this is not. Where did the call come from? How did they hear about you? What is their name? What service are they interested in? These are the kinds of questions that must be answered, and this all requires a scripted plan. Unless you have hired a team of enthusiastic human sounding robots that are well programmed, you need to strongly enforce a script based approach to outbound and inbound calling. Since “Day #1” we have helped the Elephant In The Room with their call scripting, training and inbound / outbound phone conversion systems. Call Staff Training – Writing a script and handing it to someone to read does not classify as “call staff training.” However, this is what most businesses do when it comes to their approach of training their callers and employees. With Elephant In The Room we have poured hours in call recording, role-playing and actual real-time call feedback after staff members complete a call. Just like with anything in life, if you don’t measure it and work specifically at getting better incrementally, improvement becomes almost impossible. However, when you take the time to focus on delivering a proven specific and systematic approach to call training, it is truly possible to train almost anyone with a cheerful coachable attitude how to become an all-star of customer service. 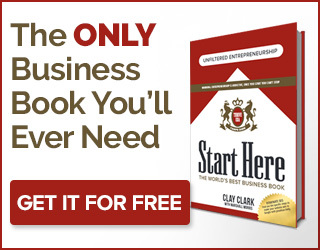 Handbook Creation – The process of creating a solid company handbook will never actually be done. This is very important to understand because most business owners look at it as an event and not an on-going process. As an example as the Elephant In The Room has grown, they started off not requiring uniforms, now they do. When the Elephant In The Room started it was more of a family-owned feel and now that it has grown to increase the quality standards and to create the best experience possible for customers the Founder has begun to standardize everything for consistency. Now new policies have had to be created to enforce these new ideas, values and concepts. It is vital to the success of your company that you create and continue to update your employee handbook. If you were take a Harvard Business School course by Clayton Christensen you would quickly discover that successful businesses are built upon the foundation of values and documented processes. However, most small business owners are focusing on the resources and not on defining their values and their documented processes. Focus on getting the values and the documented processes right and you will win. Product Photography and Room Design – The ambiance of any business is quickly determined by the imagery, the sound, the lighting, the smells and the all of the elements that surround you when you walk into a space. 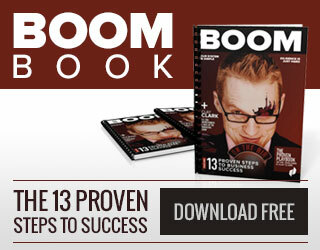 Most studies show that within 10 seconds customers have already formed an opinion about a business. With the Elephant In The Room, the Founder’s vision is so grand and so excellent that we have had to devote a massive amount of resources, time and energy into developing the “right look” and this has largely been achieved through great photography, and room design. Check out the inside of the 1609 South Boston #200 building and you will see our handy work. It has been an absolute honor and pleasure to work with the Elephant In The Room to help them grow their business and the number of the possibilities they now have as a result of their continued success.